Free Earth Day Fair features fun, music, and education at The Oregon Garden! Are you looking for a fun way to celebrate the upcoming 50th annual Earth Day? Then head out to The Oregon Garden in Silverton for the 2019 Earth Day Fair. It will take place on Saturday, April 20, from 10:00 a.m. to 4:00 p.m. This is the only day of the year that admission to The Oregon Garden is free to all. The day will feature a number of earth-focused activities and presentations which include: how to master backyard composting, make your own reusable bag, create your own seed starter pot, and much more. Visitors are invited to enjoy The Oregon Garden's 80-acre botanical garden featuring more than 20 specialty gardens. Educational exhibitors, along with several non-profit and student groups, will be located in the Garden's Grand Hall. The celebration highlights music from the Early College High School Emaa Da drumming band, Ceili of the Valley Scottish dancing, and the Woodburn High School Mariachi Band. A local food vendor will offer a variety of tasty items for purchase. Free parking and shuttle service will be offered from the gravel lot north of Roth's Fresh Market in Silverton, and free parking is offered at Robert Frost Elementary. On-site parking is available for $5.00. Visit www.oregongarden.org for additional details. 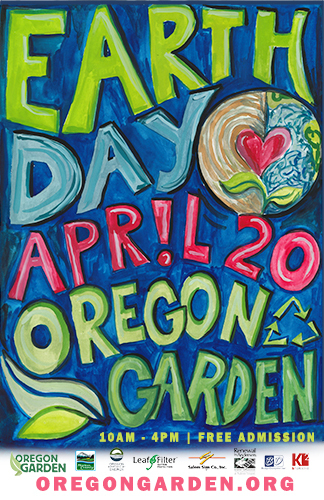 The 2019 Earth Day Fair is presented by Marion County Public Works Environmental Services, Renewal by Anderson, Salem Sign Company, Leaf Filter, Budget Dumpster, K2 Creative, the Oregon Department of Energy, and The Oregon Garden. 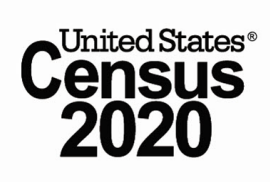 Join Marion County and the City of Salem for an information session about preparations for the 2020 Census. Find out why the census is important to our community and how you can help make sure everyone in Marion County is counted. ​The Marion County Solid Waste Management Advisory Council (SWMAC) will hold their monthly meeting on Tuesday April 23, 2019, at 5:30 p.m. The meeting will be held in the Commissioners' Board Room, Suite 5231, on the 5th Floor at Marion County Courthouse Square, located at 555 Court Street NE in Salem, Oregon. The agenda will include a report from the Budget Subcommittee, a presentation and discussion about the 2025 Recovery Goal and System Overview, council member announcements, and staff updates. The meeting is open to the public who are welcome to attend. Visit our website to view the full agenda at www.MCSWMAC.net. ​If you are a resident or business in North County, please join us for this emergency preparedness/managemnet team meeting . ​The Department Head and Elected Officials meeting is held the first Thursday of each month and is intended for executive level staff to discuss county business. ​Radio test for Emergency Management staff, Amateur Radio, Marion County CERT's. ​Public Safety Coordinating Council meetings are open to the public and held the second Tuesday of each month at 4:00 p.m. More information about the Public Safety Coordinating Council can be found on our website. ​Meeting on emergency preparedness/management for North County residents and businesses. ​The Dog Shelter will be participating at the Marion County Fair - stop by and say hello to an adoptable dog, make a fun craft and learn more about the shelter's adoptable dogs.